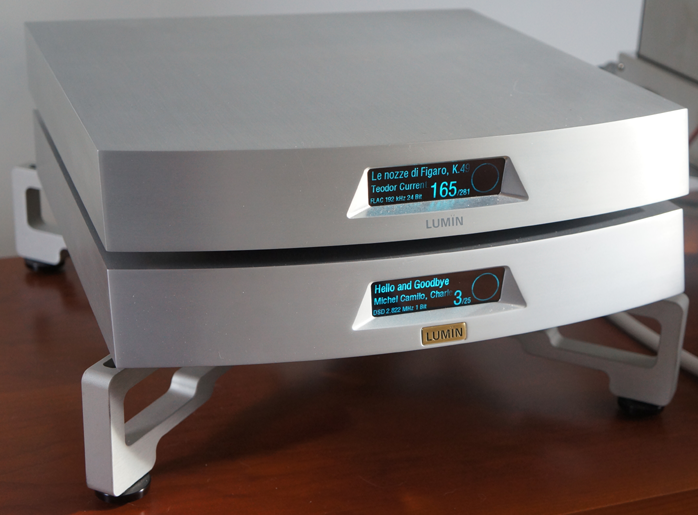 Context: After a bit more than a year since my review of the original Lumïn audiophile network player, I had the opportunity and extreme honour to assess the premiere example of Pixel Magic’s current lineup – the new flagship Lumïn S1. This latest deck is now part of a family gathering of four different network players listed in ascending order of price: D1, T1, A1 and S1. All use the UPnP protocol, gapless playback of PCM up to 32-bit/384kHz and support 2.8MHz DSD (the S1 also handles 5.6MHz). 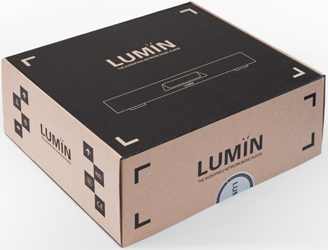 All Lumïn family members also have in common Ethernet and USB inputs, stereo XLR and RCA analog outputs and an S/PDIF output on BNC. The same Lumïn app works with all models and also for the various Linn streamers where many owners have already switched over from the ugly but robust Kinsky app. 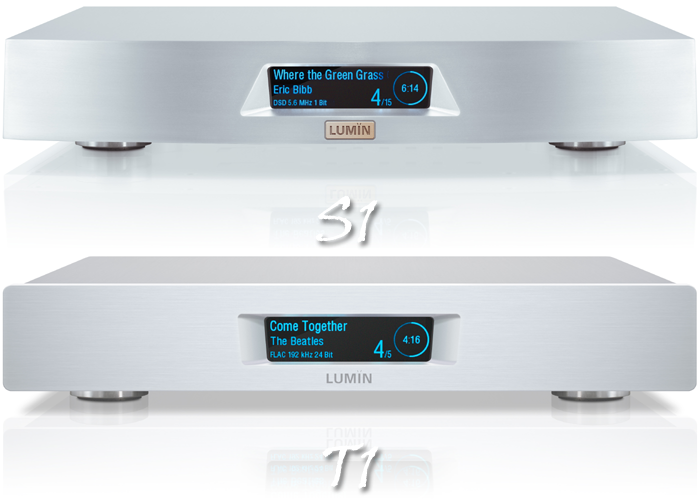 The original Lumïn and first DSD streamer released to the market has been renamed Lumïn A1. Like all its stable mates it is now available in black and silver anodised brushed aluminium. The S1 is the new reference with more ambitious circuitry inside the same case work whilst two lower models called T1 and D1 broaden access to Lumïn’s tech at more accessible pricing. The T1 gets the same circuitry as the A1 and runs the same Wolfson WM8741 twin-DAC arrangement but is housed in a smaller more economical chassis. The D1 is the new entry level. It houses its circuitry in a chassis roughly half the size of the T1. Built as a simplified T1, the D1 is based upon a single PCB design. It drops the HDMI connectivity and gets its power from a much simpler smaller external supply. With their Lumïn brand Pixel Magic despite their relatively short experience in the field of audio engineering have asserted themselves as one of the most important contributors for the development of DSD streaming. This controversial interest in a seemingly dying high-resolution disc format has spurred the release of DirectStream files to become most popular again. Even format originator Sony who abandoned SACD are back on the wagon. Hence formerly reluctant digital front-end manufacturers have now enhanced their own decks with DSD compatibility like Ayon and TotalDac. What are the benefits of DSD? Since you asked me, I'd say a more liquid natural sound against a darker background. Many detractors* in casa Linn argue there is no benefit at all; and that most DSD recordings are actually resampled PCM files. That’s often true. But at the same time a few recording companies like Channel Classics or Opus 3 use no post production digital corrections and claim to run a 100% pure DirectStream recording chain. Here I won’t enter into technical details that could fill an entire paper. From what I’ve experienced over the last year after acquiring a large collection of DSD recordings and also upsampling my PCM files to DSD thanks to the excellent Lumïn app, I will simply summarize DSD’s advantage as follows: greater listening pleasure.